Zinovo provides Salesforce Managed Services for Global 2000 companies. What Other Salesforce Consulting solution do you use? The Only Enterprise Nonprofit CRM Solution Built 100% Native on the Salesforce.com Platform. Apex IT is a global application systems integrator and implementation consultancy working with Oracle and Salesforce.com technologies. Salesforce Consulting and Implementation Practice. We are a strong Salesforce outsourcing company with a team of certified Salesforce specialists, certified ISTQB experts and project managers. Our skills and dedication, coupled with agile and well structured processes refined over the years generate value to our clients. Union Square Consulting specializes in helping small firms and/or small teams in financial services and technology to better leverage Salesforce, quickly and inexpensively. Audit9 is a software that help organisations develop a clear understanding of the quality and risk associated with their Salesforce implementation through an in-depth, expert architecture audit. Edifixio is an IT services company working mainly for large international companies, in the areas of Industry, Retail, Insurance and Services. * We monitor all Zinovo reviews to prevent fraudulent reviews and keep review quality high. We do not post reviews by company employees or direct competitors. Validated reviews require the user to submit a screenshot of the product containing their user ID, in order to verify a user is an actual user of the product. Hi there! 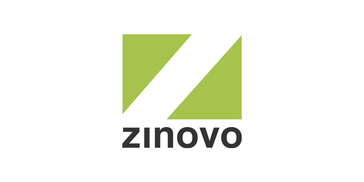 Are you looking to implement a solution like Zinovo?